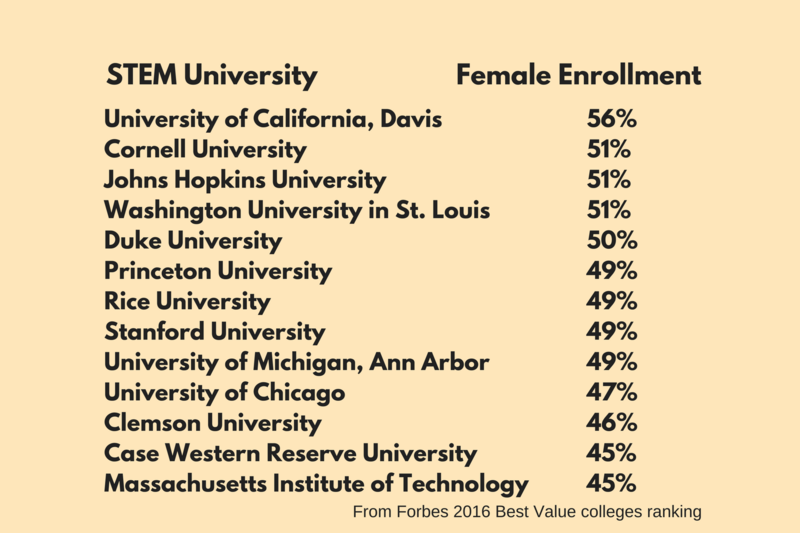 In 2016, Forbes named the top 13 colleges and universities that support women pursuing STEM degrees. To do this, they used their 2016 Best Value colleges ranking and sorted it by institutions with strong STEM programs and the rate of female attendance. Review their list of the most important STEM schools with a high female representation.